This Fortis model features a stonewashed Bohler M390 steel blade and a titanium frame lock handle with a black G-10 front scale. 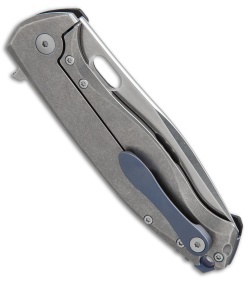 It sports a blue anodized pocket clip and back spacer. The Fortis is the result of another successful collaboration between Viper and custom knifemaker Jesper Voxnaes. Its slender titanium frame lock handle is contoured for a natural feeling grip that offers added security and comfort during use. Cutting performance is top notch thanks to a Bohler M390 steel blade with a practical profile and flat grind. A flipper opener, thrust bearing pivot, sturdy frame lock, and machined titanium pocket clip combine to create an exceptional EDC folder. M390 blade steel offers high durability and edge retention. Lightweight build and slim design for easy everyday carry. Thrust bearing pivot provides smooth, responsive blade deployment. Cha-ching! I just hit the jackpot with this knife. $165? Are you kidding? 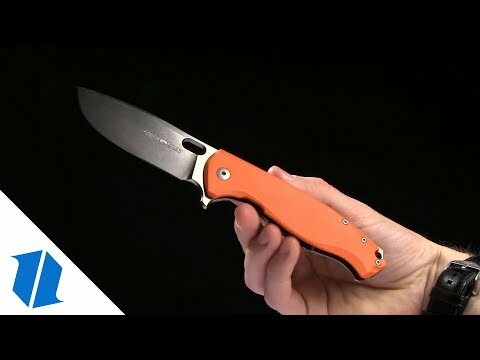 I know that it's not a custom knife, and that it's not a fancy one, but it's everything I want or need in a knife. My knife, unlike the first reviewer's knife, works very well, both flipping and locking and unlocking. Fit and finish are excellent. 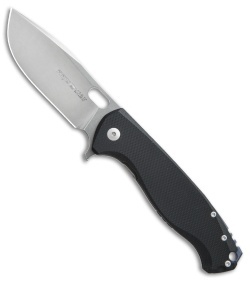 M390 is a premium steel; can't go wrong there, and the blade is nicely formed and sharp as hell out of the box. The handle is very comfortable, and is chamfered in all the right places to help with that comfort. It has the best flipper tab I've ever seen, because it's jimped and because it sticks out a little horizontally at the top of the tab and makes it so that it just grabs your finger and creates a no-miss pull on the tab. That tab is a little bit of design genius. I'm amazed that no one has come up with that before now. I wish the G-10 were a little bit more heavily milled, but it doesn't slip, so that's ok. 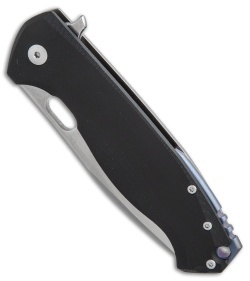 The clip is tight and solid but doesn't rip your pocket when you pull the knife out. I do wish the lockup was a little later, as mine might be about 20% and I prefer closer to 40%. Overall, though, a really fine and functional choice, worth well more than the price, and I can tell already that it will be one of my go-to knives. It's such a great price for such quality that I won't be afraid to use it at all, which I am a little afraid of with my $450 knife. Does not open very fast, better off using the hole in the blade. Not so much of a lock stick but clicks when closing like the lock bar is too long and it looks like about 10% lockup if that.